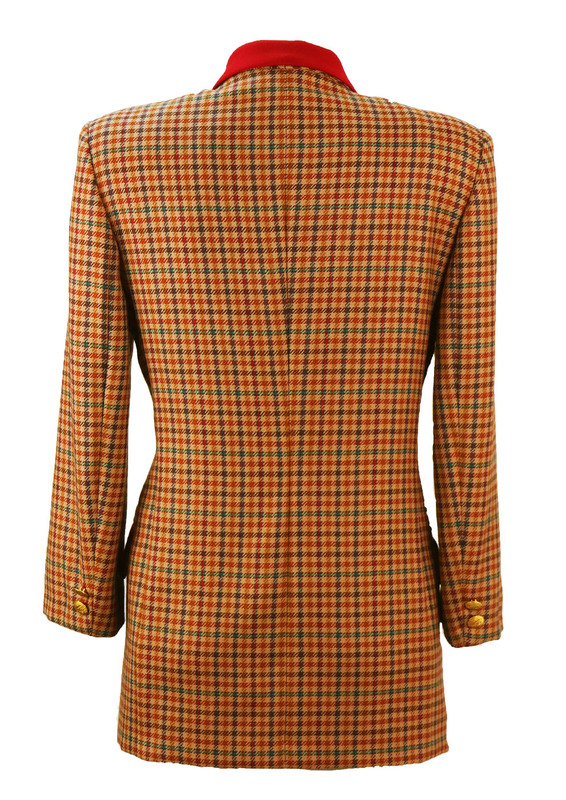 Pure wool, camel coloured jacket with a check pattern in navy, brown & russet with lovely turquoise highlights. 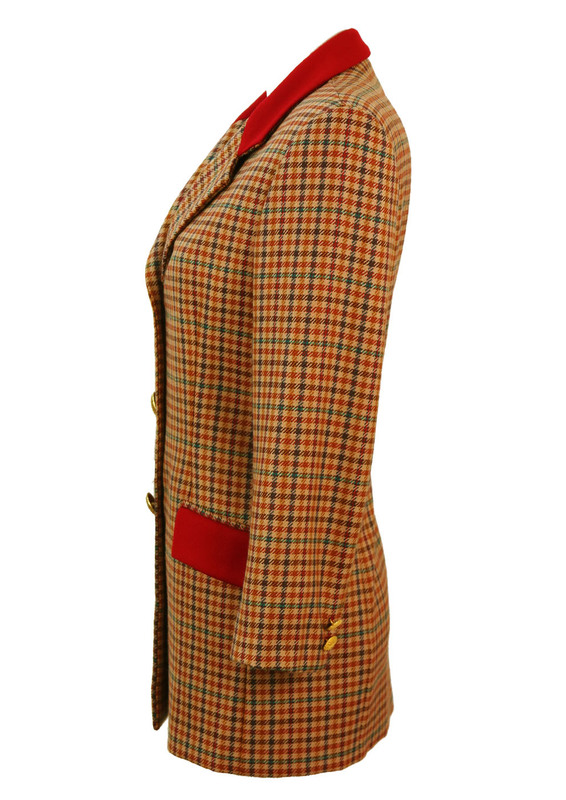 Additional design features include rich red pocket flaps and collar as well as large decorative gold buttons. 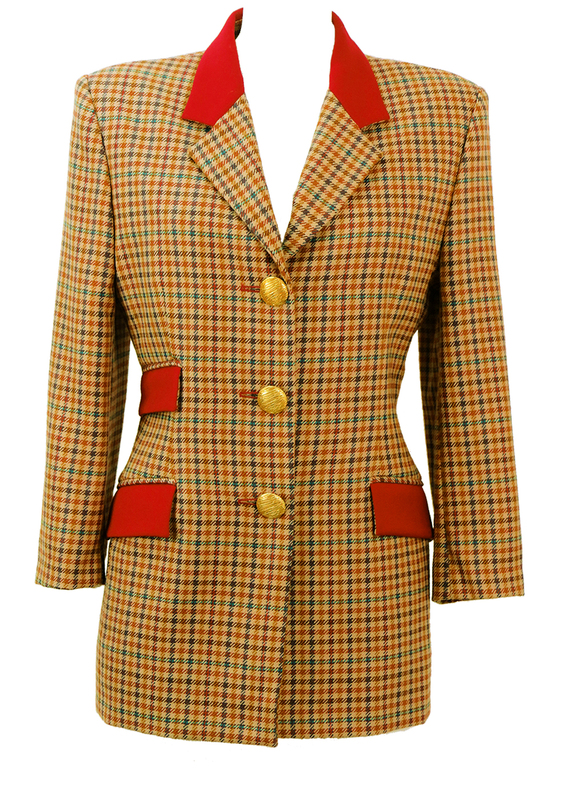 The jacket is also fully lined in a satin-like warm gold fabric.